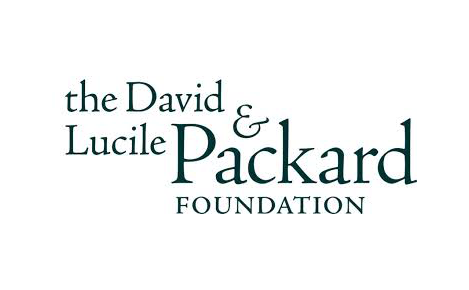 Kopernik partners with The David & Lucile Packard Foundation to identify challenges of smallholder farmers in the agricultural value chain process in Papua, West Papua and West Kalimantan regions. The intended outcome of the "Unmet Needs" research is to identify interventions that can improve increase farmers' practice and competitiveness. Smallholder farmers play an important part in the agricultural value chain, and make up more than half of the total farmer households in Indonesia, where agriculture contributes around 14% to the country's $932 billion economy. Yet, despite their crucial role in providing food to the wider population, smallholder farmers often face inadequate production capacity and earn modest incomes, which is partly due to a lack of access to information on current markets. There is a demonstrated need for more focused research exploring the constraints faced by farmers in the agricultural value chain. A better understanding of these constraints will position Kopernik to provide solutions that work in improving agricultural productivity, which in turn will improve farmers’ income and standard of living. Through the findings from this project, Kopernik will be well positioned to identify ways to increase the competitiveness of last mile communities and smallholder farmers in the value chain. Kopernik seeks to offer policy makers, academics and the development sector with a clearer view of the current real needs of farmers living in the last mile. The project report highlights issues farmers face to stay competitive in agricultural value chains and the environmental impact of their agricultural activities, which can serve as an insightful reference for development actors who are interested in tapping into agricultural-based activities in Papua, West Papua, and West Kalimantan. Based on Kopernik's field research, it was found that farmers in these provinces are at an economic disadvantage in the agricultural value chain. They invest the highest level of manual labor in the chain, only to receive low prices from traders. This has partly been due to a lack of information on market prices, different quality of crops, and a homogenous network which tends to circulate similar information. Furthermore, any gains from their harvest are typically just enough to cover the cost of production, leaving a meager amount to support their daily household needs. They are then pushed to find other means of work to supplement their income. More details on the findings can be found in the Unmet Needs Report 2018: Smallholder Farmers in Papua, West Papua & West Kalimantan. Kopernik organized workshops in Sanggau, West Kalimantan and Jayapura, Papua in July 2018 to disseminate findings from the report to related stakeholders including local farmers' groups, government officials, civil society organizations and academics. Following the workshops, we also worked with UTZ (now merged with Rainforest Alliance) to produce a step-by-step guideline on the process of cacao certification for cacao farmers in Papua. We are also preparing two upcoming experimentation projects as a follow-up to the report findings: an innovative tool to protect harvested rubber from spoilage and rain, and a potential solution to prevent rats infestation in rice fields.